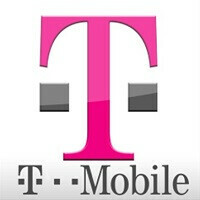 New T-Mobile app for iOS and Android to launch December 10th? Reddit is apparently full of T-Mobile employees. According to one user of the site who claims to be a T-Mobile employee, the Un-carrier will be launching a new app for iOS and Android users on December 10th. According to the source, the new app will have a "a much cleaner user interface," and will replace the current T-Mobile app. The new app will allow you to make one-time payments, arrange payments, check on the status of an order, show you your latest usage data, and check the health of your phone. A second Reddit user who allegedly works for the nation's third-largest carrier, chimed in by saying that T-Mobile subscribers will be able to complain about coverage issues using the app. According to one post, the app will use T-Mobile's new Grand Central system employed by the carrier's reps to diagnose handsets. The company is supposedly losing millions of dollars on unnecessary warranty exchanges that are being made when there isn't any problem with a phone, or when simple troubleshooting can fix a problem. The new app is said to be full of magenta and there is no word yet on whether it will include a data usage widget, or support TouchID for iPhone users. Unless it does away with the battery sucking health diagnostics, I'm never using it. Tested on phones, it will impact at most 30mins of usage a day, at the very most. The biggest battery killers, battery doctors, or other apps that monitor your phone. Notice the word 'at most' meaning you are in and out of the app throughout the day. Yes, please. Their current app is horrible. It's basically a desktop webpage trying to pass off as a mobile app. It's slow, and not very useful. I hope they incorpate a data usage widget in the new app. They already have that, and what is wrong with the web? can your current phone not display an html page properly? As a TMO employee nearly 80% of all handsets exchanged are user error. You cannot technically deny one, meaning if the customer calls in troubleshooting with a problem, and a trouble ticket hasn't fixed it, or a reset (customers nearly lie over 50% of the time that it has been reset), then we have to exchange it. Problem is when we get it, the phone when it arrives at the OEM, will run their tests and find no issues with the phone. Usually the problem is apps on the device, the most notorious right now is anything CM related or any kind of Battery app killing services in the background that android just fills right back up again. And if they have php, they are getting basically 40bucks in free service. Some customers go through 5-10 phones a year, because they freak out about one app crash, or one dropped call in a week. I would say out of all the people I deal with 1 out of 10 is a 'true' issue, like a tower. People cannot grasp that their favorite app will crash at times. Lets also not forget their 'teen' or android wanna be power user, that devs unlocks a device just so their grandma can get some app they never use.